Userlytics Tester Job Review: Is Userlytics A Scam? If you’re looking for an easy quick way to make some money online, you should probably become a Userlytic Tester. Recently I’ve covered a lot of Usability Testing jobs and came across Userlytics and wanted to write a review of this job. While doing research I found that a lot of people were asking if this site was a scam in the forums and from what I found Userlytics is completely scam free. If you’re not familiar with usability testing, don’t worry I’ll cover it within this review, but you can learn more and see some similar sites at 11 usability testing jobs. Usability testing won’t make you rich, there’s just not enough tests to make it a big income. If you’re looking for a large online income, check out My #1 Recommendation, it’s how I made over $13,000 online last month! Lets jump right into this review and learn how you can make a quick buck giving your opinion with Userlytics. If you’re not familiar with website testing it’s a pretty simple concept. Basically you’ll visit a company’s website. You’re given a list of tasks to complete. Complete the tasks and give your feedback. As long as you give quality feedback you get paid. Now let’s talk about the process with Userlytics. Once you’re accepted (which I cover next), you’ll begin to receive links to tests in your email. These tests are first come first serve, so act fast. Most test will require you to record your face, voice, and screen. But I recently came across a test that did not require this. You’ll be given a series of tasks, for example, you might be asked to add some items to your shopping cart or navigate to a certain page of the website. Basically you need to tell them what you liked, what you found difficult, and any improvements you can think of. A typical test takes 10-20 minutes, after your done submit your feedback, and you’ll be paid shortly after your feedback is approved. To apply for Userlytics all you need is a computer, internet connection, and a webcam/microphone to complete the tests. If you do not have a webcam, I recommend this high-quality webcam from Amazon. You will need a verified PayPal account to receive payments. Looks like Userlytics is open to any country that accepts PayPal. There isn’t any experience requirements because they’re looking for people just like you and me, normal consumers. Most Usability Testing sites do require you to take a practice test before being accepted. With Userlytics just enter your name and email. Confirm your email and then fill out the rest of your profile with demographics and payment information. After you profile is complete, you’ll begin to receive test invitations via email! How Much Does Userlytics Pay? Userlytics pays $10 per test completed. Which is basically the standard rate per test from all the other companies. On there website they say there are special instances where tests will pay more, but I’m assuming that has to do with giving additional information. They pay with PayPal. Payments will be added to your account as soon as the requestor approves your feedback as helpful. Funds can be transferred to your PayPal account once a week on Friday. How Much Can You Make With Userlytics? 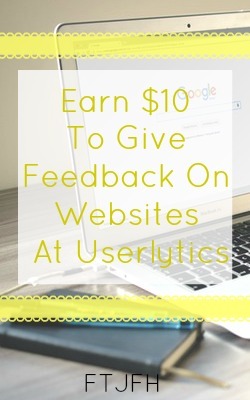 Userlytics and other Usability Testing sites won’t give you a full time income. Although the pay is good for your time, there isn’t enough tests to keep you busy and make a large income. You can join multiple sites to maximize your income, but still it’s going to be extra income each month. From what I can see it looks like the industry standard of 2-4 tests per month is what you should expect. One thing to keep in mind is it’s first come first serve, so you need to act quickly, if you want to provide feedback. Userlytics is not a scam, I’ve been a member now for a few months and have had a few test invitations, completed one, and got paid $10. I really like that you’ll get some tests that don’t require you to record yourself. I’m completely comfortable with it, but it’s a sore spot for some people. The pay rate is right along with industry standard and payments are fast via PayPal. I really didn’t find any bad feedback about this company. Most testers seem to be pretty happy with the company and work. As long as you know this isn’t going to replace an income and and is some extra income, you’ll be pretty happy with this site. If you’d like to learn more or to apply visit Userlytic Testers. If you want to maximize your earnings you might want to join some of the other usability testing sites I’ve reviewed. You could also combine this with a work at home job or other extra income opportunity. 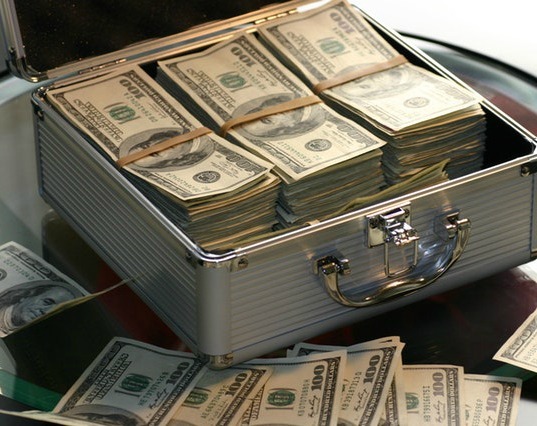 If extra income isn’t your thing you may want to see how you can make a larger online income with my #1 recommendation! Are you a Userlytics tester? Have something to add to this review? Let me hear your thoughts of Userlytics in the comments section below!